A few days ago, I spent some time with James Powell at the Thomson Reuters offices on Times Square. It was just the kind of conversation I enjoy: we covered a lot of ground in a relatively short time, rarely had to explain anything to each other while we went off on tangents and random walks, yet kept largely to subjects of mutual interest. One of the key topics that came up was that of consumerisation. During our conversation, James raised an intriguing issue: Enterprises have understood that consumerisation is here to stay; lessons are learnt daily, and the learning is applied within firms like ours. So we see the march of smartphones and tablet devices into the enterprise, and the emergent freeing-up of the historically locked-down desktop. We see the adoption of social network/messaging tools like Chatter, Yammer and Quad. [Disclosure: I work for salesforce.com, which makes Chatter]. We can see the learning being applied from hardware and from software per se, but what about the rest? What about the privacy and confidentiality issues faced by the consumer? What about the data portability aspects? Are we learning from them as well? If so where is the evidence? How is it being applied? Corporations have tended to believe that they’re a bit like Vegas: what happens there stays there, and is owned by the corporation. Both James and I agreed that maybe not enough is being done in this respect, and that we would compare notes as we went along, something I’m looking forward to. 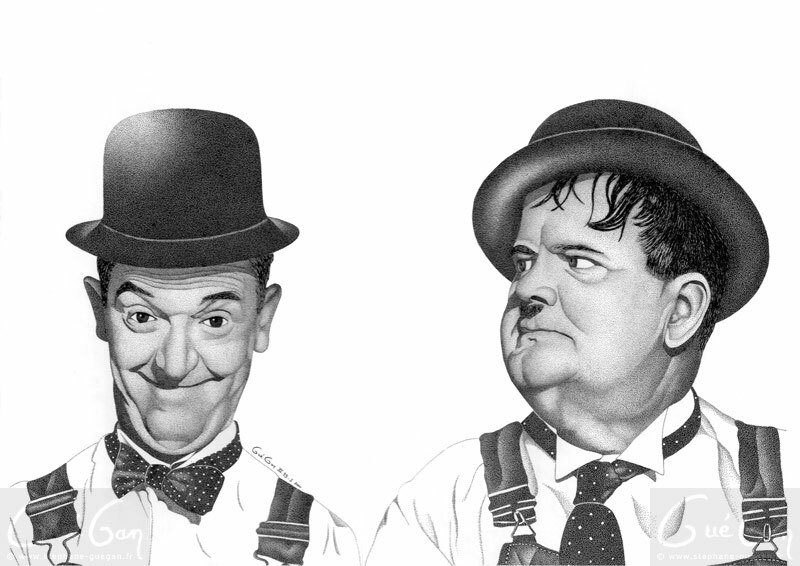 For much of my life, my attitude to post-facto regulation has been somewhat Oliver Hardy-ish, a sense of “here’s another nice mess you’ve gotten me into“. I tend to prefer principles we can debate and improve and refine before we hit problems, so that the regulations are truly fit for purpose. 1. The person will select the “task”, rather than be given the “task”. Ever since the inception of the modern firm, people were given tasks to do in a prescriptive, deterministic manner. Initially this made sense, since firms were built on industrial-revolution models, and linear workflow was the norm. But that was for a different time, and the environment has changed completely. Talent is at a premium. There’s no point in hiring smart people and then telling them what to do, that makes no sense whatsoever. The most precious asset of the knowledge-worker enterprise is the knowledge worker, her human and social capital, her relationships and her capabilities. It makes more sense to expose knowledge workers to problem domains and then giving them the resources and tools to solve those problems. 2. Tasks will be non-linear in nature, rather than assembly-line. When someone new joins a firm, the experience is going to be very similar to that of playing a modern video game. The new joiner will spend time in some form of sandbox or training ground, learning a number of key things: the “game mechanics“, the values, rules and principles by which the firm operates; the “game controls“, how you navigate around the workplace, how you discover things, how you acquire learning and other assets to deploy, how you “save” your work, how you “replay” or “continue”; and the “game dashboard“, the tools that let you see the environment, your powers and authorities, feedback loops on position and progress, primarily team rather than personal, though both are visible. 3. True team-based work will become the norm, not the exception. For decades we’ve been talking about teamwork in the enterprise, but that’s what it’s been for the most part. Talk. For teamwork to become part and parcel of everyday enterprise life, small, self-organising multidisciplinary teams must be allowed to exist, crossing many historical boundaries. Teamwork is meaningless unless the team is given work to do that is suitable for doing as a team. There’s no point in calling a bunch of individuals a team, just because they report hierarchically to the same point in the organisation, or because they have the same broad skills. Work is normally carried out by people in multiple parts of the organisation, belonging to different departments, putting to use their disparate skills. The “team”, in practice, is distributed across different departments, functions, locations. And the very structure of the firm militates against teamwork, since these departments, functions and locations tend to optimise within the department, function or location. That optimisation is often underpinned, even accelerated, by the reward system in place, which places a premium on the results of such local optimisation. Interdepartmental cooperation and collaboration is, sometimes unintentionally, sometimes very much on purpose, made difficult. It’s actually much worse, since the teams spoken of so far are all within one enterprise domain. The teams of the future will include members from trading partners, the supply chain, and (perish the thought) real, live customers. It’s no longer just a question of misaligned incentives: we haven’t really figured out how to do this. Collective intelligence and crowdsourcing will have nothing more than a small number of hackneyed poster children to show if we don’t learn from this and do something about it. 4. Cognitive surpluses will be put to use sensibly, rather than discarded. We have to get away from the idea that knowledge work is smooth and stable and uniform and assembly-line in structure and characteristic. Knowledge work is lumpy. Period. There will be peaks. And there will be troughs. The current thinking appears to go something like this: “If we have troughs it will look like we don’t have enough work to do, so we need to pretend to work. Let’s fill our days up in advance with things that don’t depend on market or customer stimulus, things we can plan well in advance. And let’s call these things meetings. Then we can look busy all the time.” Such thinking has produced some unworthwhile consequences: layers of people who excel at meetings, who know how to game the process of meetings; the agendas and minutes and presentations and whatnot. Which then leads to the creation of a class of signal boosters, who summarise meetings and fight over who can carry the signal to the next level within the organisation, who slow work down by constantly asking questions designed to boost their signal-booster reputations, who work as the enterprise equivalent of K Street, unseemlily knocking each other over as they rush to “brief” their superiors in the hierarchy. The solution to all this lies in recognising that cognitive surpluses can and do exist, and should be put to sensible use. Investing in wikipedia-like projects, dealing with definitions and jargon explanations and data cleansing and question-answering and the like. 5. Radically different tools and processes will be needed as a result, time-shiftable, place-shiftable, multimedia. Because, as Einstein is reported to have said, we can’t solve problems using the same kind of thinking we used when we created the problems. Tools that view privacy differently, that view confidentiality differently. Tools that recognise the existence of the individual within the firm, the existence of multidisciplinary, sometimes multi-organisational, multi-location as well. Tools that are intrinsically multimedia, allowing text to be augmented with image and voice and video. Tools that are platform and operating system agnostic. Tools that are mobile, self-examining, self-healing. Tools that can be replaced with ease, using the synchronisation power of the cloud. 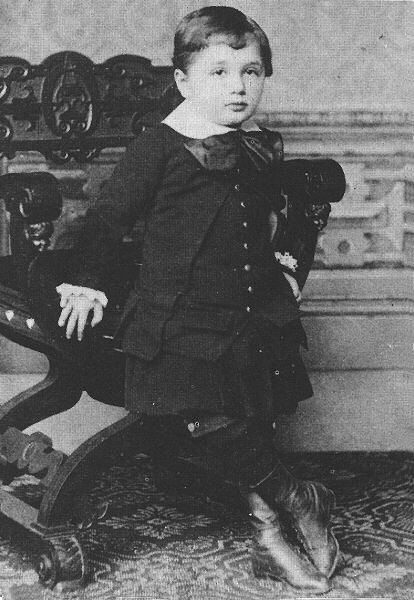 Albert Einstein at the age of four. Exciting times. Times when we have to make radical changes to concepts we have held for a long time. Concepts like identity and privacy and confidentiality. Concepts like teamwork and sharing. Concepts like sinecures and benefits and contracts of employment. Concepts like the theory of the firm and scarcity economics and rational individuals and linear workflow. Times that celebrate diversity, that celebrate divergent thinking, that celebrate the creative. And how are we going to know what to do? Isn’t it good that there’s a new generation who can solve that for us? A generation who aren’t as hidebound as their predecessors and their predecessors and their predecessors. The Maker Generation. Choosing what they do. How they do it. Whom they work for. What do they look for? Choice. So what should an enterprise do? Use what you stand for to attract the customer. Use what you do to retain the customer’s trust. Ensure that the customer is always free to leave, and paradoxically he or she will stay. Who is this customer? Your family. Your friend. Your employee. Your business partner. Your client. Your citizen. As we put the principles in place, as the Maker Generation enters the workplace in volume, as the values and ways of working evolve, we will know what policies and guidelines we need, what laws we need. It’s a matter of time. Over the next few weeks I intend to flesh this out and write a series of posts on the Maker Generation in the Enterprise, looking at the issues from a number of perspectives. Your comments will help me make this a more valuable exercise. This has so many brilliant pieces, I don’t know where to begin. For one, it synthesizes many of the things we’ve been discussing where I work in much more powerful terms. It’s a guidepost, a reference, a checklist, a glimpse into the future. Thanks so much for writing it. My pleasure. Glad you liked the post. Please share what you have learnt through your discussions, and I will incorporate into future posts. By the way, love the Tour De Hood. Great blog. Great piece JP, I look forward to the follow ups. I think the first thing that enterprises need to do is stop pretending that ‘work’ and ‘life’ are different times of day, and recognise that they’re different personas that will be used by an individual as appropriate (and that most individuals will behave appropriately). Next they must tear down the (fire)walls that they’ve built around their people (and between those people and the rest of any ecosystem). I wrote about this last week (http://wp.me/palij-aK) and called out ‘the nonsense of inconveniencing your own people’. One of the commenters referred to ‘homing from work’ – I like that. Will the future look like that at least for some knowledge-based organizations? Will they become the “un-organization”? Why do you think that the new generation will need us to put principles in place or laws? Why is the enterprise expected to do anything? The maker generation itself is the change. We (including the enterprise) would need to adapt to it. One trend which could emerge as the maker generation collides with the current enterprise – If organizations do not hold appeal for them, the maker generation is most likely to build ‘my kind of enterprise’. Good in a way. New models will emerge. Managing the new generation has been a challenge. I had shared some of my own experiences (http://consultingjungle.blogspot.com/2011/01/managing-gen-y-some-thoughts-for.html). Great and thought-provoking post, JP. Working in a defined-process-centric company in a conservative industry, I often wonder if there is also an aspect of self-selection on the part of the “Maker Generation” that explains how some companies seem to have younger workers that do not reflect the qualities of demanding choice that you describe. In that sense, in addition to the “person selecting the task” don’t they also select the role that involves less choice? If that is the case, how does the revolution in these companies come about? Is it more top down because of what is possible than bottom up because it is demanded? Very much looking forward to the next post in this series. Yes, I have been chewing the cud here and have some resonating thoughts that emerge for me. 1) I am really struck by Einstein’s comment that solutions need a new set of tools. A key area of focus for me right now is sustainability. Many of the problems facing our little blue planet are caused by a keening inability to think beyond economic metrics. All our decisions are based on economic numbers. Would we think of making the same planet-damaging choices in our purchasing, for example, if we understood the non-economic impacts of our decisions? 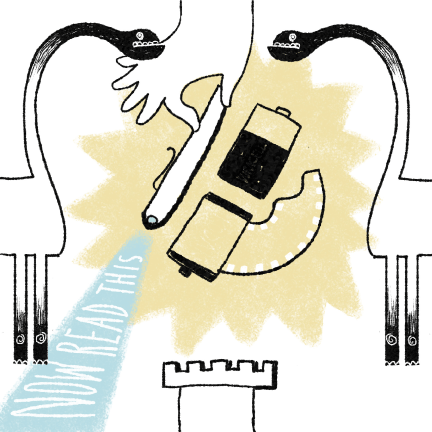 Your piece encourages me to think about new tools to solve the old problems. But a stubborn part of me wonders if we need new tools to solve this problem, or whether we can achieve the same result by incorporating externalities into our current economic-based decision-making tools? What if we could include data regarding environmental impacts on greenhouse gases, or child labour social impacts in our supply chain procurement systems? Would that make the tools new or simply be the correct use of tools that were inappropriately used till now? Maybe this is a semantic distinction, but I think it is worth working through, as the solution would save the little blue planet that we have been given stewardship for. 2. I appreciate the idea that consumerising tools are changing the way we do business. My only experience of the business-focused social tools you mention is with Yammer, but that’s been less than successful for me, even though I am making an attempt at playing the social media game. Maybe it was just everybody else… Still, the main challenge for me here is that “social” comes up against “private” and “proprietary” – two concepts that business holds quite close to its crown jewels, even though we as individuals have sacrificed them on the twin altars of Google and Facebook . Recently, I was having a conversation with a City man who is keen on social media, but, please sir, not across enterprise boundaries. It does make me think that being a knowledge worker in some industries must still be more about being a worker than about knowledge. 3. I have a keen interest in the performance of medium enterprises, and I feel that members of this oft-misunderstood business cohort may well be the ones that will show us how to get the most from knowledge workers. Partly because they lack controls to impose the stringent control and command paradigm of the largest enterprises. But also because they can, if you know what I mean. Still chewing… Thanks for the cud. I think the recognition of the coginitive surplus is one of the key things. As Debabrat Mishra says above, the maker generation will change what they need to, but we can still help things along by giving them the space in which to do it. Where is it written that all revolutions need to be a struggle? Maker Generation generally shows up and blows up any normal structures. Older mindsets often don’t fit in and drop out. What is clear, I believe, is that organisations will need to think of themselves far less as the makers of, and far more the supporters of the makers of, ‘their’ products. I am interested in your comment about medium enterprises. I think the small and medium enterprises are where we are more likely to see the changes happening at first. They have less controls built-in like you said, and also they have less interest in maintaining the old status quo: they have always needed to adapt to survive. And it is easier for them to become a brand that the makers generation can contribute to thanks to being smaller organisations with a smaller ratio of “signal boosters”, and also because their identity tends to be more narrowly focused so easier to empathize with. Thanks for this piece. Looking forward to hearing your thoughts re the Maker Generation and enterprise information security. Maybe even throw some of my ideas in too. I think an organization needs to go beyond “allow” relationships – it needs to encourage them! Particularly when it comes to knowledge-work-based organizations or sub-organizations participating in a larger ecosystem, true innovation can only happen through brokerage. Measure, understand, facilitate, rather than stifle. The notion of “replay” or “continue” in principle #2 has an interesting corollary – it means that an enterprise needs to be more resilient to failed experiments. VC-style, pitch for (small) funding, exploit the ideas that prove successful, and play again. @Jyoti: But who spends time trying to pin down Jelly? SME mediums are managed by hierarchies and some procedures. Here’s where the IT police lurk, and managers and shouldn’t, manage. These types often blow up trying to pin down Maker Generations jelly working. JP, excellent post as usual! Couple of thoughts for your consideration. – How will these principles apply to global organizations that span multiple regional cultures? Once again, excellent post and keen to see where you take this. It will be interesting to see how you develop this concept of Maker generation JP. It will truly be across the generations though and not circumscribed by some particular age cohort. It is with the “old Farts” that a degree of guidance will be necessary especially with those able to “see” the personal dynamics that impact on organizational growth and development – age does give some perspective. That said the issue of “cogntive surplus” is very important and ever so slowly – it may take years – we can hopefully break out of the “you must be busy all the time” syndrome and are able to have moments for a breath of fresh air and an “ahhhhhhhhhh” moment. I am glad that Jyoti brought to everyones attention the work of the M-institute – the SME issue can be difficult with government and especially the EU criteria for any funding to help Medium sized business. (250 employees max and only €40m turnover – strange combination). On the question of large enterprises its like cities they end up having villages within the greater whole. JP I am sure you have seen this in the larger organizations you have worked in. There will always be pockets of innovation that will break out of the strictures of corporate mindsets. Having recently (re) introduced Yammer again to a merged business grouping it is interesting to see the youngest ones pile in and sign up unhesitatingly when invites were sent out. Hopefully the opportunity to broadcast across silos will benefit all concerned. As part of the education I have circulated the Deloitte Australia video on using Yammer – in a couple of minutes you see the enthusiasm for such a tool and indeed the intergenerational acceptance of it. http://youtu.be/myEGChLvnPw All power to @rexster Pete Williams. Looking forward to the “fleshing out” of your thoughts and others contributions to this dicussion. Awesome post! Love the stuff on team work reminds me of Verna Allee’s “value networks” and Dave Snowden’s “Crews”. But I fear the extreme of this is an organisation where everyone is freelancing where they swarm and find their own task or are referred tasks…is this chaotic. Do you still need to be affiliated to a unit as a backup? I think we still need the network formation of a hierarchy…a hybrid organisation. @john thanks. and I enjoyed the links you provided, will check your tumblr out. I think that the swarming will be “controlled” via incentives. so the people who set the game mechanics, the game controls and the reward mechanisms are the residual “hierarchy”, the 1000lb gorilla, the core, the moderator. All healthy communities have that active “benevolent despot” core.